Yo WordPress lovers, here is the WordPress news for you. The new version of WordPress that is WordPress 4.8 is ready to launch with some cool new features and enhancements. Let’s take a look at the new features of WordPress 4.8. The new audio widget in WordPress let you play the audio file right from the widget, this widget is useful for podcasters and musicians to embed their audios on any corner of the website and not only on posts. 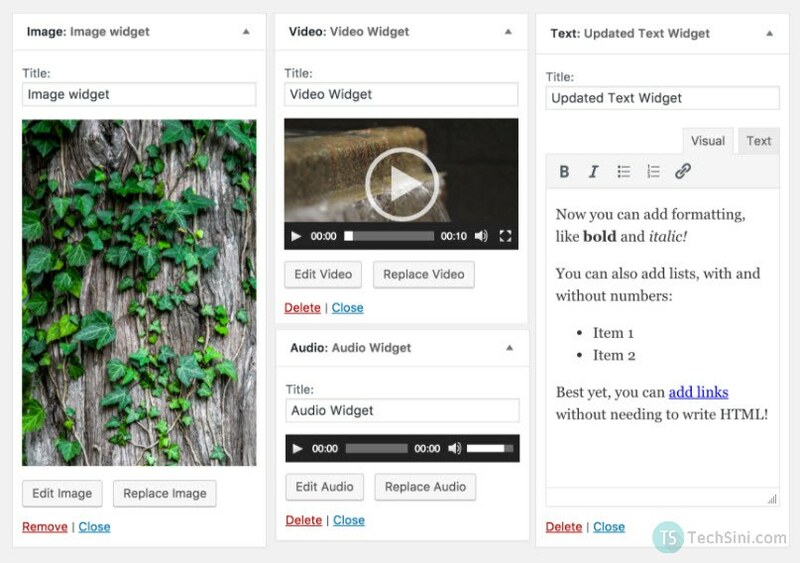 Video widget lets you play the video on your website sidebar or any widget area. This widget is useful for video niche websites. This widget only supports adding videos from your media library and not embedding from YouTube or any other video streaming websites. One more new in the town is the image widget, this widget lets you add an image to your website sidebar or other widget area. Text widget has just got better, now it comes with bold, italic and linking features, along with this now you can also add bulleted or numbered list to your text widget. The text linking issue has been fixed in the WordPress 4.8 version, what exactly this issue was? When we write something after the linked text, the new text also used to have the link, this bug got fixed in the new version. Along with these features, you will get local WordPress events and news right on your dashboard. Well, are you ready to rock the new update? Download the release candidate of WordPress 4.8 here. WordPress 4.8 will be shipped officially on 8th of June.